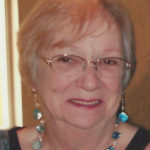 Bonnie J. Thome, 76, Sobieski, died following an illness on Wednesday, March 20, 2019. The daughter of Raymond and Florence (Pelky) Truskowski was born November 28, 1942, and was a graduate of Pulaski High School. In 1962 Bonnie married Donald Marin at St. John Cantius Church in Sobieski. The couple made their home in Sobieski and raised two children. Donald preceded her in death on September 10, 1970. Bonnie later married Eugene Thome and they raised another son. Bonnie was an avid Packers and Brewers fan. 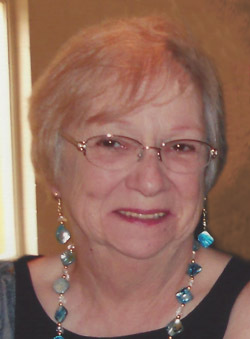 She enjoyed her regular exercise classes in Pulaski and always liked traveling. She will be dearly missed by her two sons: Michael (Vanessa) Marin, Savannah, GA and Kevin MacLeod, Green Bay; special friend, Dale Vanderveren; her dog, Peanut; nieces and nephews, other relatives and friends. Bonnie was preceded in death by her first husband, Donald; and one son, David Marin. Friends are invited to gather with the family from 1:00-3:00 p.m. Sunday, April 28, 2019, at Townline Pub & Grill, 2544 Lineville Rd (Green Bay), Howard. Burial will take place in spring in St. John Cantius Cemetery.